Mario Bros. is one of my all-time favorite video game series, in large part due to its diverse cast of fun, unique characters. One of which is Bowser, Mario's long-time arch nemesis and general thorn-in-the-side. 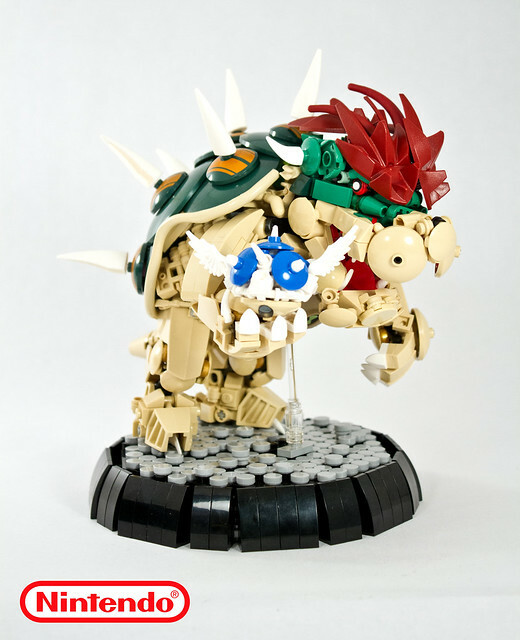 Nathanial has immortalized King Koopa himself in bricks, and it's fantastic. Gotta love him posing with the infamous Blue Koopa shell.